In our Black+Decker LHT321FF vs LHT2220 comparison report, we’ve shown that the LHT321FF is better because of its POWERCUT feature. By simply pushing a button, this impressive feature helps you cut through a difficult branch by commanding the blades to slowly but forcefully move back and forth until the task is done. Now… let’s write a review about this hedge trimmer. Does it deliver its promised results? Is it really convenient? Let’s hear it from previous buyers themselves. First, very briefly, here are the top features of the Black and Decker LHT321 hedge trimmer. – POWERCUT. The POWERCUT feature was launched back in 2016, alongside other Black+Decker outdoor tools under the POWERCOMMAND line. This consists of three sub-lines: POWERBOOST sweeper, EASYFEED string trimmer, and POWERCUT hedge trimmer. As explained in the introductory paragraph, POWERCUT is an innovative tool that makes cutting usually difficult branches easier. – Blade. 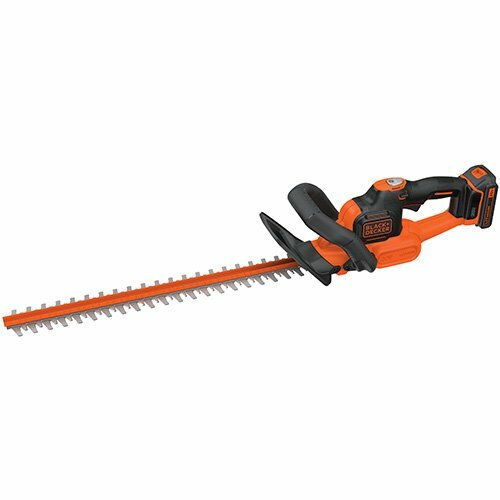 The Black+Decker LHT321 is advertised to have a 22-inch dual-action blade that can cut through 3/4-inch thick branches. It delivers 2400 cutting strokes/minute. – Comfortable Grip. There are two factors that ensure user comfort. As advertised, the blades don’t vibrate that much during the trimming process. Two, the handle comes with good ergonomics and it’s equipped with premium soft grips. – 20V MAX Lithium System. Aside from POWERCOMMAND, the Black and Decker LHT321 is also a part of the 20V MAX lithium battery. If you have several Black+Decker tools, you don’t have to purchase separate batteries and chargers for each. In this part of our Black and Decker LHT321 review is a summary of what previous buyers have to say about their unit. – Performance. As expected, the Black+Decker LHT321 isn’t as powerful as a gas-powered hedge trimmer. But for a cordless, it’s powerful and reliable on many types of shrubs. As one person has said, she has used this trimmer for over an hour without stopping or slowing down because it trims hedges really well. – Ease of Use. Several buyers whose age ranges from 65 up say that the Black and Decker LHT321 is lightweight and easy to maneuver. That said, they don’t have to hire other people to do it for them, thereby saving them money. – Overall Feedback. 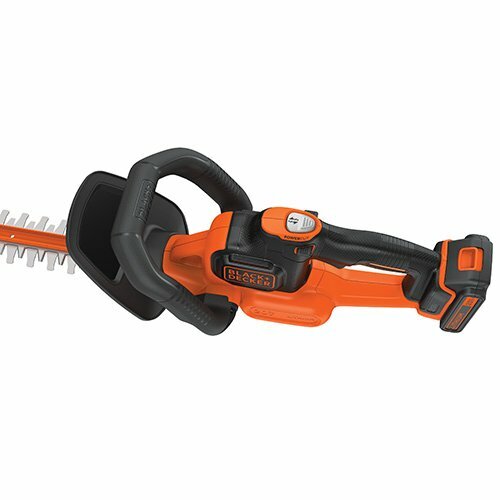 To borrow the words of one previous buyer, this hedge trimmer is “made a little better” than the earlier models, which is a great thing because fans of Black+Decker notice and appreciate that the brand continuously improves its products. Also Read: Dewalt DCHT820P1 Review, Is This Hedge Trimmer Any Good? Should you buy the LHT321? Here’s our recommendation. Yes, purchase the Black and Decker LHT321. It has been consistently well-received by previous buyers because for a cordless trimmer, it’s powerful and reliable. It’s lightweight and easy to use even a 60-plus-year-old person would not have difficulty operating it.